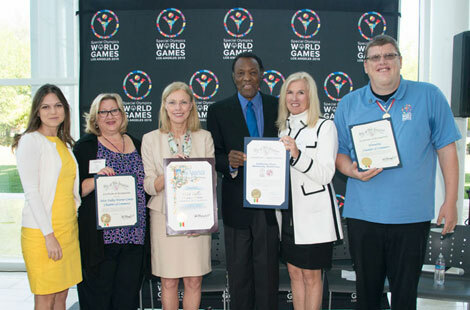 CSUN is leading a contingent that includes the communities of Chatsworth, Northridge, Reseda, Tarzana, Winnetka and Woodland Hills in the Host Town Program for the Special Olympics World Games 2015. This summer CSUN will house nearly 500 athletes from around the world, which is the largest of any of the host cities throughout Southern California. Read more about the Special Olympics. The CSUNSat1 CubeSat — a miniature satellite that will ride on board a rocket also launching a larger satellite — is being developed in collaboration between CSUN students, faculty and staff members from JPL, and could be launched next year to test the effectiveness of JPL’s energy storage system. Read more about the launch. The CSUN Women’s Basketball team looked on the verge of pulling off an upset at Stanford, as it saw a second-half lead evaporate on the way to a 73-60 loss to the Cardinal in the first round of the NCAA Tournament. This was the second consecutive trip for the Matadors to the Big Dance. Read more about the seesaw battle. Sat., March 28, 2 p.m.
Fri., April 3, 3 p.m. and 8 p.m. Broaden your understanding of the relationship between the lesbian, gay, bisexual and transgender communities and health care practices. Marine conservationist and activist Anna Cummins presented an unvarnished, startling — and at times stomach-turning — peek into her crusade to stop plastic pollution in the world’s oceans at CSUN’s annual Water Day. CSUN’s Teacher Curriculum Center, located on the garden level of the Oviatt Library, is home to K-12 curriculum materials that serve as a resource for instructional materials to students, faculty and community educators.